Which camera is best to look at? There's a bunch of pink spots on the map. I'm confused. Maybe on the M4 heading west between Heathrow and the M25 where they go south? Would they do an overnight rest at/near Stonehenge? Theres nothing much there to do except walking around and viewing the mysterious structure. No, its already 7:20 AM there. No need to stop and wait. I'm looking at the M25 camera choices, and I'm probably going with one of the ones near Heathrow. I guess it's a crapshoot. Editing 'cause this one peaks interests - M25 between J14 Heathrow terminal 4 and J15 M4 interchange: Heathrow. I'm guessing we just have to have more than one camera up. And are they supposed to be so slow? The cameras. They'll be coming out of Heathrow's Short Stay Car Park 4, if that helps. I was at Logan airport earlier today and heard them talking. It takes about 70miles from Heathrow to Stonehenge, they would have driving time, Stonehenge may just be a route marker and not a roadblock/detour point. >>so cool, how great you got to be a part of this! except… about 4 smart cars barreling around the corner near the laundromat nearly hit me head on today…not cool. >>Smart cars? Are you sure they were part of the race? They always use cars big enough for 4; the two contestants, a camera operator, and a sound technician. >>[reply by blogger] You know those big yellow cards? They had them in the car. It was the Amazing Race. I found a blog post from a couple who saw teams from the Amazing Race while in line at customs at Heathrow. After exiting the plane and waiting for hubby to relieve himself, I was faced with Bear Grills - you know the bloke from Man V's Wild. I find him totally fake and annoying, yet I wanted to get my camera and get a snap. Sadly he was off in his cargos and dark sunnies and big hat before I could reach and grab it from my backpack. The mornings excitement did not stop there. As we were making our way along what seemed to be a 20km walk to the customs area there were two chicks with huge back-packs, and matching outfits charging past us all, pushing and shoving. Michael whispered to me "amazing race"!!! "Yeah as if" I quipped. Then 2 mins later the camera, and sound crew came charging through, trying to catch up. 10 mins later all the teams were charging through us trying to be the first team to get to the gates. It was so very exciting, a buzz filled the customs area - which as you all know is a nice change as normally it's a long boring wait to get that stamp and the all clear to collect your bags. For any Amazing Race fans, you will be pleased to know I called over the black team, a guy and gal with a few tats and a nice demeanor and offered them the spot in front of us in line - which they accepted gracefully. Sadly no-one else would let them pass. What tossers, hello they are racing for a million bucks!!!! I posted a couple of questions (what color outfits were the women wearing, how many other teams were there besides the women and the black team) and I'll wait to see if they are able to reply. 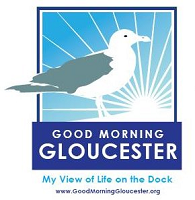 I'm the guy who took the video in Gloucester and yes I knew before I said teh words great Race that the Name was Amazing Race I just happened to mess up. I'm the guy who took the video in Gloucester and yes I knew before I said the words great Race that the Name was Amazing Race I just happened to mess up. Thank you so much! We look forward to seeing and learning more from you and your up close and personal experience. Yay and Welcome to RFF Captain Joe! Welcome Capt Joe! Thanks for the great pictures and video! It's been a big help. Thanks and Welcome Capt. Joe! I have screenshotted the tweets. Gah, Sam, ya beat me to it! I'm going to google maps and see how long it says the trip should take, might give us a rough idea of validity, since Joey has no location listed on his twitter page. ETA: Google maps says 18 minutes, and there was 16 minutes between tweets, so it is possible. I'm not too sure about it. If I read back right, the flights arrived around 7am here which was 10 and a half hours ago, so either the teams he is with are really slow or there has been a small break somewhere. The guy at the cathedral mentions that teams are trickling in. Must be in groups. my wife just found out teams had to wait 3 hours in stonehenge for some reason , how is that fair? Seems like there was a break. Just said the airport. Corrected himself. Wait a minute... Why are most of his tweets from web? Does he have a laptop with portable wifi with him this whole time? We may have a full play-by-play of the first leg.